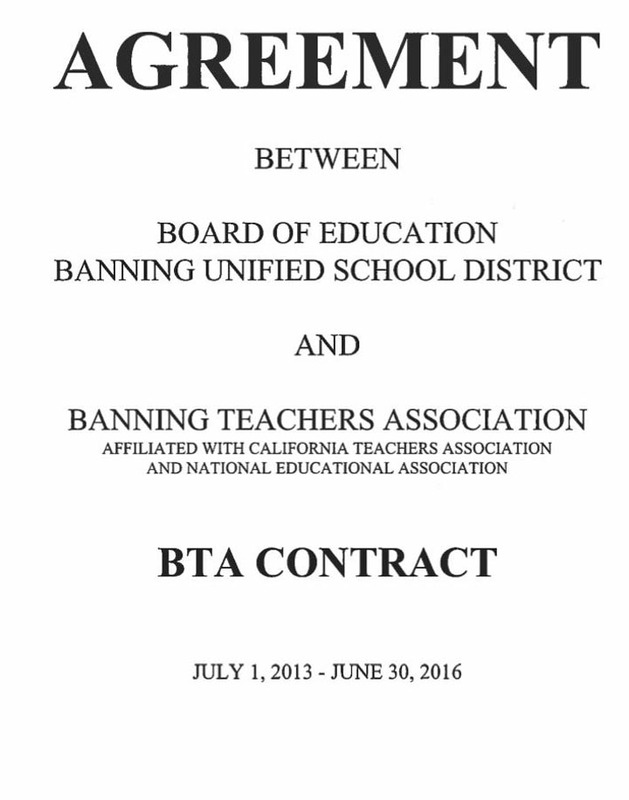 The BTA Website is an information source for educators and community members of the Banning Unified School District. 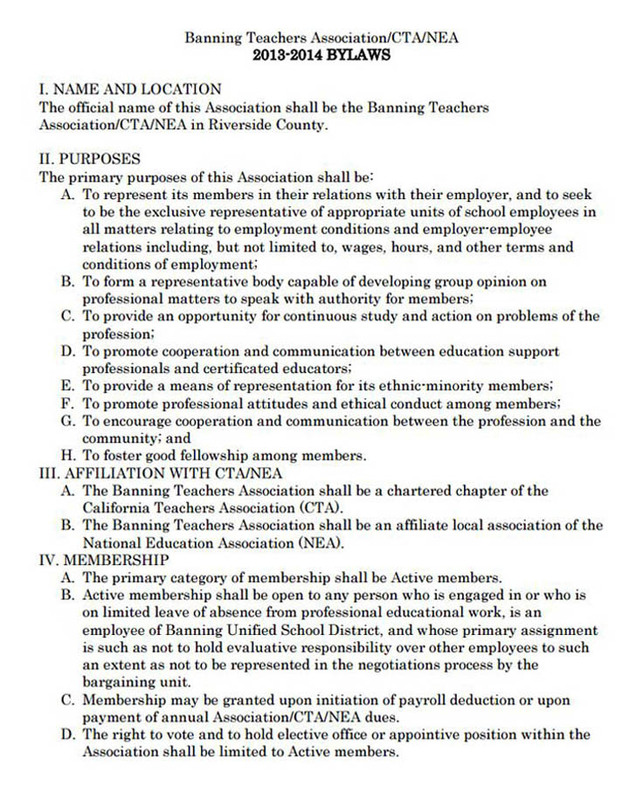 The Banning Teachers Association represents the teachers and educators of the Banning School District and is a member of the California Teachers Association and the NEA. The BTA Reps page will have names and images of your current site reps, board members and elected officals. 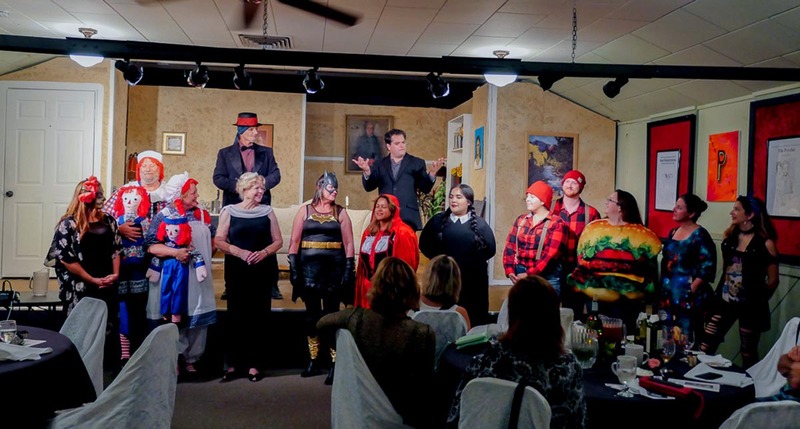 For current negotiation updates, photos, grievance forms and upcoming events go to the Members in Action page. The Helpful Links page contains many useful links , forms and educator resources. You can find older documents at the Archives page. 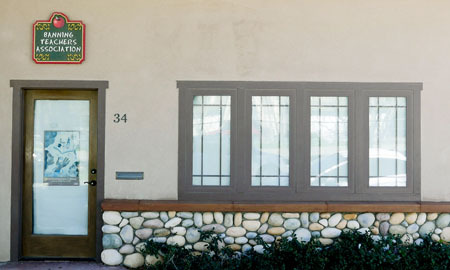 Meeting was called to order at 3:55 PM. If you have a question or a work related problem, contact your school site representive . They are there to help and assist you. 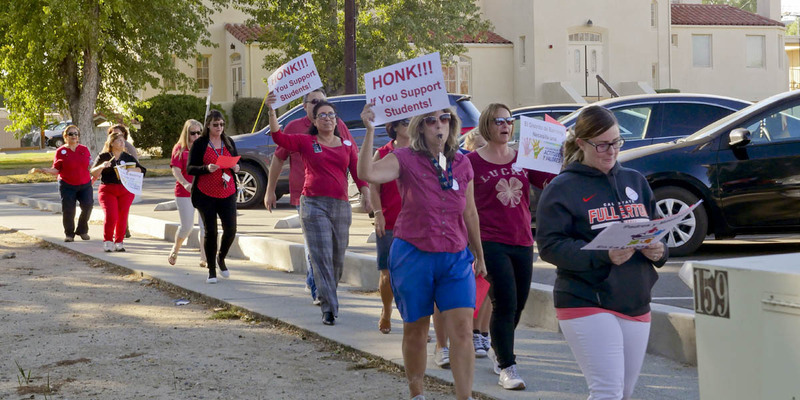 Banning teachers rallied outside the district office as the negotiations came to an impasse. 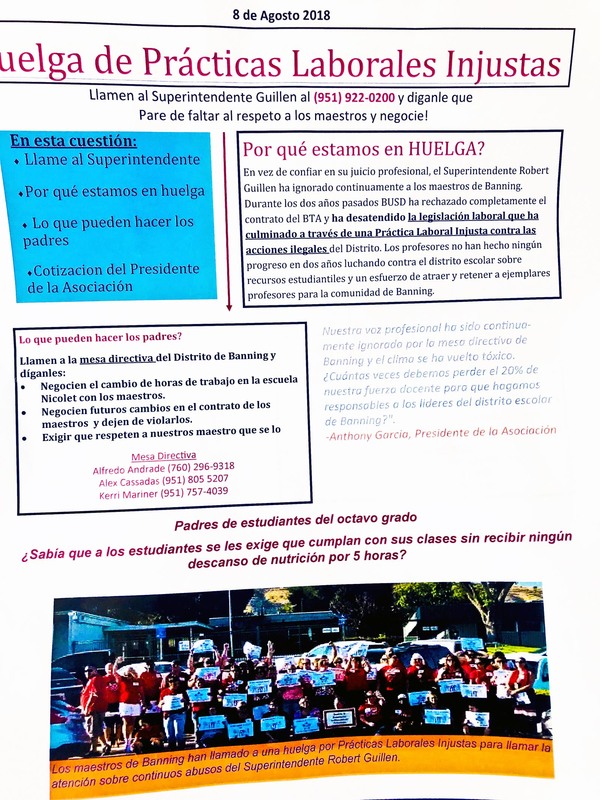 Banning, CA- The Banning Unified School District teachers continue to fight the unfair labor practices being perpertated by the Superintendent, Robert Guillen. A crowd estimated at over 200 attended the Association's rally at Banning City Hall. Numerous teachers spoke about serious mismanagement and about the conduct of the district. Issues raised included the age of textbooks, and the inadequate staffing in some subject areas. Parents too made their voice heard. They are frustrated with a district and superintendent that does not listen to their concerns and still has not made the education of students the top priority. Parent's were further frustrated by Mr. Guillen's apparent lack of interest in their comments. School board candidate Jason Smith attended and shared his vision for a better school district. Candidate Anne Price's husband Jim spoke on her behalf as she was unable to attend due to recent surgery. Price also shared a vision of better and more meaningful education for the students of this community. The Board of Trustees too are beginning to show signs of frustration. Board President Alfredo Andrade questioned Mr. Guillen at length about the district's exorbitant legal bills. During questioning Mr. Guillen revealed that he has thus far allocated $135,000 for costs associated with his refusal to bargain in good faith and the use of lawyers to defend the district's persistent unfair labor practices and contract violations. Mr. Guillen stated that legal fees can be expected to rise further. Continue to support the teachers in their fight for fairness and inclusion. District - has changed the hours for several schools. The increase in time is problematic because it is not in compliance with IEP's. Time is not being used properly. 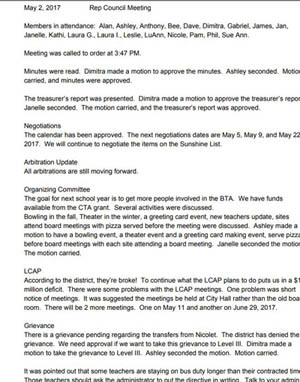 District - bypassed the Association to do direct dealing with the teachers. District - does not include parents and teachers in their decisions. 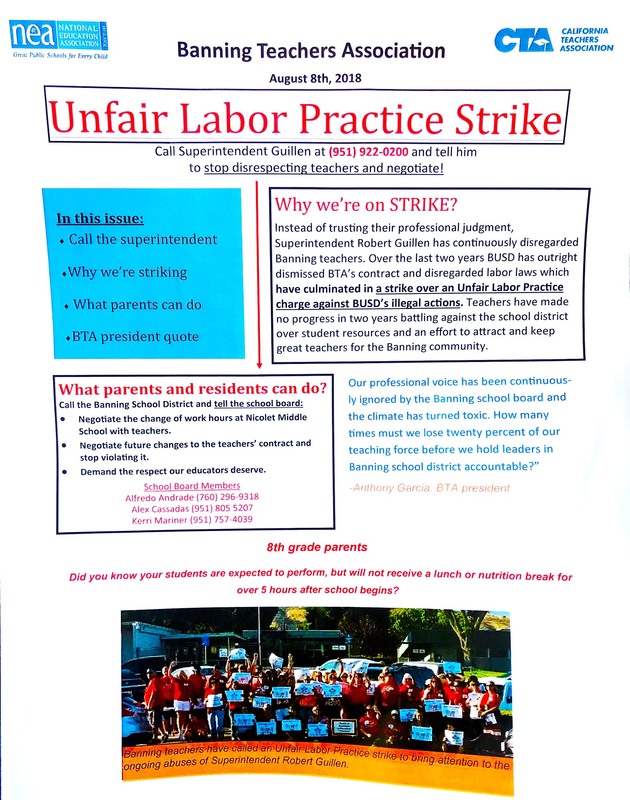 District - arbitrarily changed working conditions which effect both students and teachers.